Gone are the days when YouTube was just another video sharing site. In recent years, it has become a bigger and better platform. In fact, its vast reach and huge popularity has turned it into a highly profitable option for people who want to make some money. 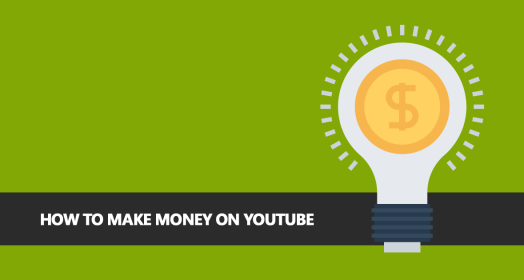 Here are some creative tips on how to make money on YouTube. YouTube is a great place to unleash creativity without spending a lot of money. From drama series to talk shows, there are plenty of interesting ideas to explore. With some humor and imagination, YouTube videos can turn out to be great moneymaking options. Exciting competitions are always effective in catching people’s attention. No matter what the rewards are, people always like the idea of participating in a fun contest. From challenging users to compose a new song or show some cool moves, there are plenty of unique themes for contests. YouTube users can also consider tying up with local businesses to promote their products and services online. Many small businesses do not have an online presence to leverage internet for profits. Smart YouTube users can partner with such businesses to market their offerings online for money. There is no dearth of people who want to achieve fame through YouTube. Most people, however, do not know how to leverage this tool for best results. A good business idea is to help such people attain fame on YouTube. From creating web tutorials to uploading modeling portfolios, there are several ways in which users can help others become YouTube celebrities. For those who want to promote their own products online, YouTube is a great option. Users need to just create their own products, add them to a shopping cart and then direct visitors to their YouTube channel. The YouTube videos can be used to demonstrate how the products work and their benefits. Businesses as well as market research consultants spend a lot of money to acquire data. A YouTube channel specializing in conducting primary research, therefore, has excellent prospects. Topics could range from favorite ice cream flavors among College grads to laundry problems of suburban moms. Many businesses would be willing to pay a good sum of money for exclusive rights to such videos. With these interesting ideas on how to make money on YouTube, anybody can achieve success in no time.